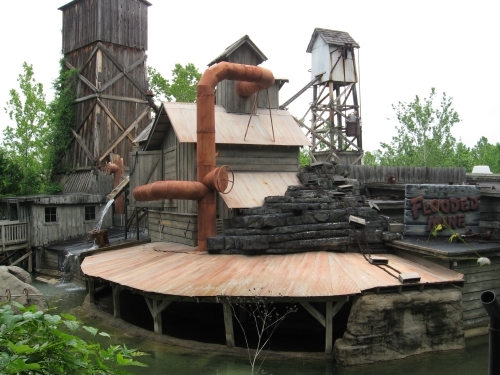 Also in "Silver Dollar City"
The Flooded Mine, one of the most unique and detailed attractions at Silver Dollar City, is celebrating it’s 50th season in 2017. It formally turns 50 in May of 2018, but that will be part of its 51st season. 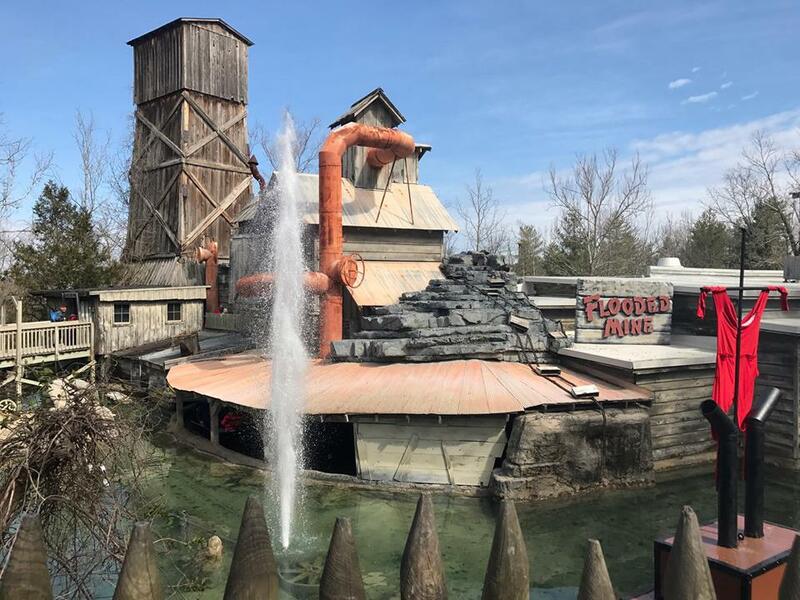 The ride has faithfully entertained generations of park guests – and thanks to the gentle, open nature of the ride many generations of park guests have been able to ride together throughout those years creating memories unparalleled to most other theme park experiences. 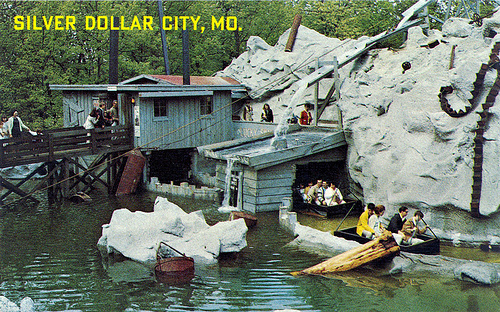 The Flooded Mine opened in 1968, the same year the park started charging admission. It was originally just a leisurely boat ride through a labyrinth of highly themed rooms and caverns with plenty of vintage special effects. 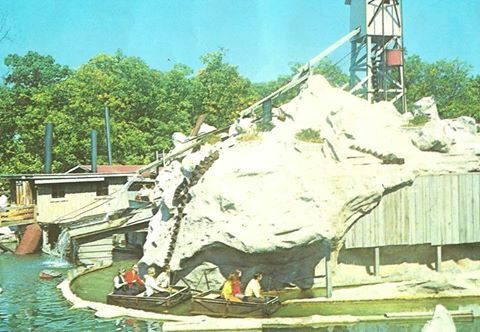 In 1990 the ride was spiced up with electronic guns and targets and the official name of the ride was changed to ‘The Great Shoot Out at the Flooded Mine’. It has stayed much the same over the years, though maintenance is constantly being done which occasionally involves refreshing a scene or switching out props. Last year one of the thematic towers that helped disguise the roof was taken down due to age. 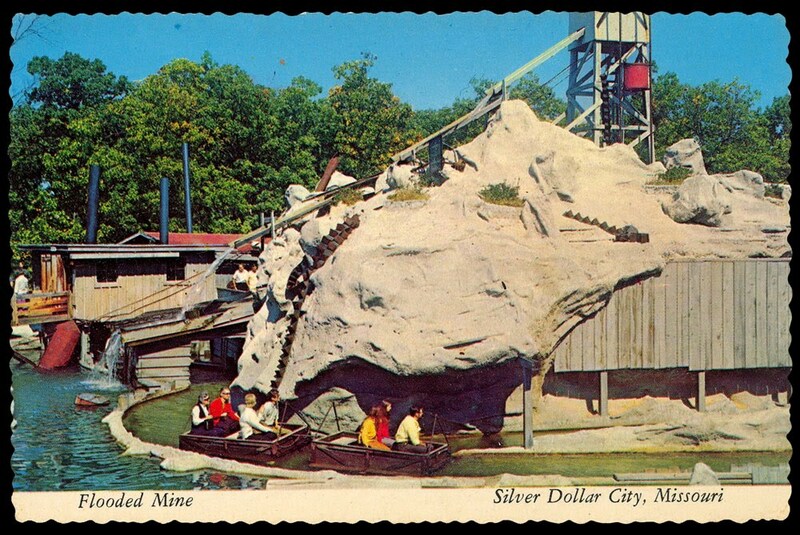 It’s hard to express just how special The Flooded Mine is among the world of theme park rides and their patrons. Few rides outside of Orlando are so filled to the brim with such attentive detail, few rides allow the entire family to ride together (besides the train of course), and few rides make it to 50 seasons. 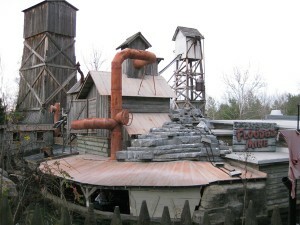 It has certainly shown its age after so many years and so many millions of rides given, but while many guests often offer their ideas of how to refresh or rebuild the Mine for new generations, it’s hard to imagine that today’s penny-pinching market forces would produce the same level of immersion that we have taken for granted with The Flooded Mine. It is truly a gift from a past generation that cannot easily be surpassed without Disney or Universal-level money. If you’re too far away to get a chance to experience the Flooded Mine in person, Erick Norlund has a good video from a couple seasons ago here on YouTube. Neatocoolville also has a nice video that shows some extra angles here on YouTube. Here is a small curation of photos to celebrate how far the Mine has come. Unfortunately I don’t have a lot of photos of the interior since I’ve never had a good camera for taking photos in the dark. Thanks to Austin Zamora for the first photo, which is from opening day 2017.